We visited the Imback Canyon Conservation Area and Maliau Basin Conservation Area. In the Imback Canyon Conservation Area, we visited future construction site for study center, the Imback waterfall, the Kuli camp and the Kuli waterfall. During trekking, we could observe many tropical plants and some kind of insects. But unfortunately we could not find out any evidence of mammals on that day. 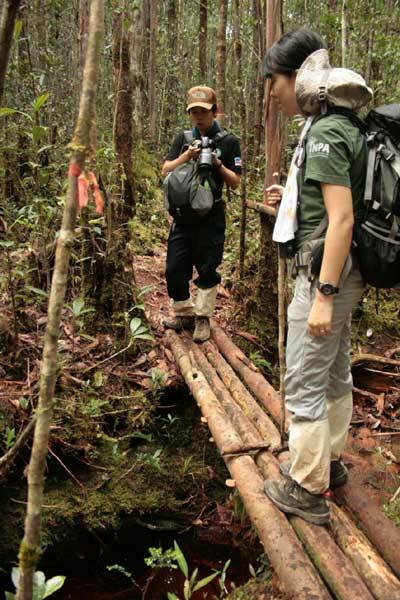 In the Maliau Basin Conservation Area, we trekked for three days and two nights. On the first day, we trekked from the Agathis camp to the Nepenthes camp for 6 hours. The altitudes of these two camps were around 400m for the Agathis camp and more than 1000m for the Nepenthes camp. Therefore, I observe the vegetation which changed from the tropical rain forest to the Heath forest. On the second day, we trekked from the Nepenthes camp to the Ginseng camp via the Maliau water fall. 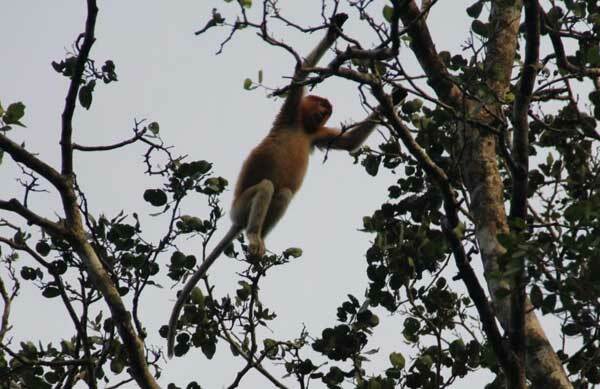 The river system of Maliau Conservation Area includes much tannin and saponin which was come out from the plants. Thus the water color is getting dark and surface is bubbling. We could observe the river and the some animals which live in the river. On the third day, we trekked from the Ginseng camp to the Agathis camp. As the end of this trip, we attend the signing of MouU between PRI, Sabah Wildlife Department & Yayasan Sabah and Workshop. At the workshop, we discuss about the future conservation plan for Imback Canyon Conservation Area with other attendant.